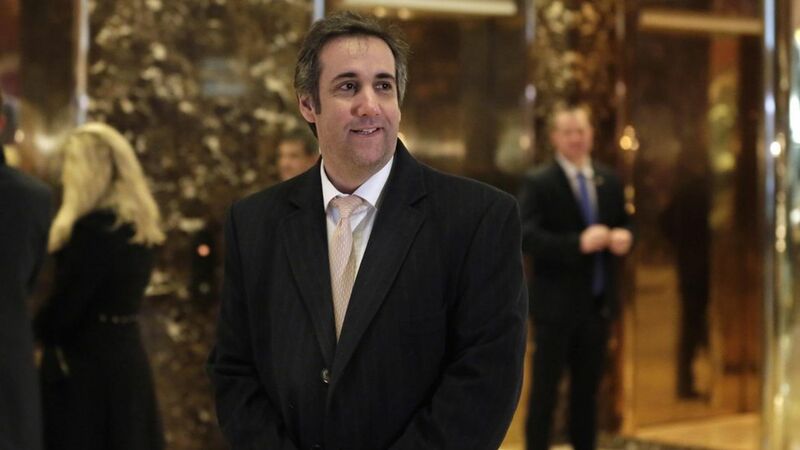 Donald Trump's personal lawyer Michael Cohen is now a focus of Congress' Russia investigation, per ABC News. What went down: The House and Senate both asked Cohen "to provide information and testimony" about his Russia contacts, but he shot down their invitation as overly broad. In response, the Senate Intelligence Committee unanimously voted last week to grant its chair, Sen. Richard Burr, and its ranking member, Sen. Mark Warner, the ability to issue subpoenas. Cohen called it a "total fishing expedition" to CNN: "I declined the invitation to participate, as the request was poorly phrased, overly broad and not capable of being answered..."
Flashback: Cohen last found himself at the center of a media firestorm earlier this year when he played a substantial part in the still-unverified Steele dossier on Trump's Russia connections, which alleged that he took a trip to Prague to meet with Russian officials. Update: The Senate Intel committee also wants to hear from Boris Epshteyn, a senior adviser to Trump's campaign, per CBS News.